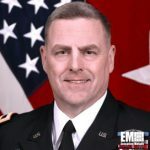 Army Chief of Staff Gen. Mark Milley has said the service branch has started to consider emerging platforms in the areas of robotics, biotechnology, transportation, nanotechnology, explosives and information technology as part of its readiness efforts, Army Times reported Thursday. Michelle Tan writes Milley noted that the military branch plans to set up brigades that would perform advise-and-assist missions as well as boost its reliance on the Army Reserve and Army National Guard as part of its efforts to build military readiness. 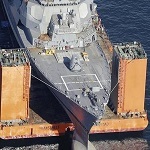 Sydney Freedberg Jr. also reports for Breaking Defense that the Army chief of staff also discussed the threats that Russia, China, Iran and North Korea pose to the U.S.
Milley called Russia “an existential threat” due to its military modernization efforts and nuclear weapons, according to the report.